Tecta America South Florida, a commercial roofing contractor who provides services for commercial, industrial and institutional roofing and sheet metal needs with roof asset management, and repair services including, emergency leak services, and maintenance schedules. Our vision is to be your full-service commercial roofing contractor with expanded services in roof maintenance and repair. We employ the most experienced professional roofers and sheet metal craftsmen. We are the premier South Florida contractors for any job. Being in business for over 30 years, we have more than 100 workers working out of two locations; Miami and Deerfield Beach. We have extensive knowledge in every type of roofing material and application to help with your roofing needs. We are dedicated to serving our customers with a comprehensive array of roofing solutions. We specialize in the following commercial and industrial roofing solutions: built-up roof systems, modified bitumen, EPDM and much more. team has always been quick to respond and resolve any roof leaks we have encountered”. Tecta America South Florida is comprised of skilled and experienced professionals who are knowledgeable and will be able to answer your roofing questions. 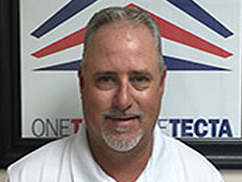 Tim has been in the industry since 1985 and joined Tecta in 2000. He is responsible for the daily management of the company. Enrico has been in the industry since 1995 and joined Tecta in 2014. He is responsible for accounting and operations. 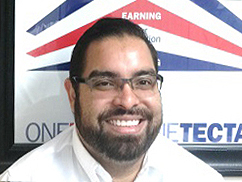 Jose has been in the industry since 1990 and joined Tecta America in 2015. 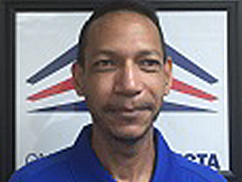 He is responsible for maintaining existing clients and managing the service division. 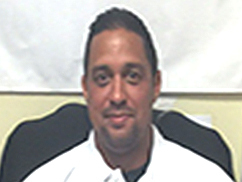 Jonathan has been in the industry since 2005 and joined Tecta in 2014. He is responsible for project submittals, daily oversight of projects and hitting budget goals.